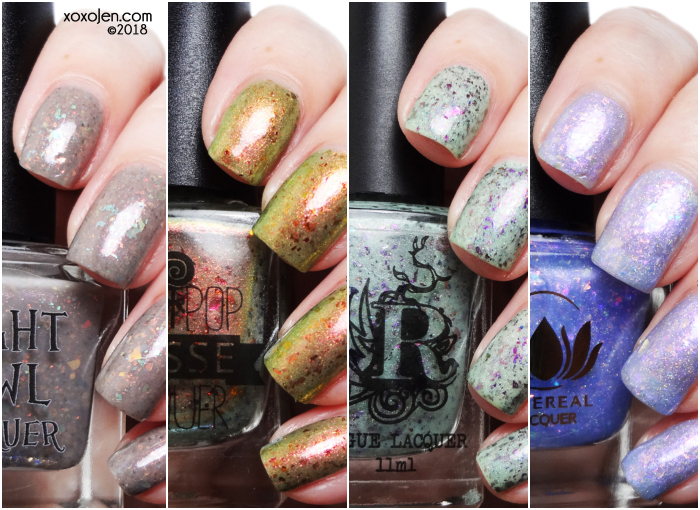 The December Polish Pick Up theme is Enchanted Forest and I have four polishes to share with you! The release is a pre-order and takes place Dec 7th at 10am central through Dec 10th. a sheer periwinkle base with a prominent violet glowy shimmer, accompanied by an array of iridescent flakes. Shown is 2 coats with topcoat. The formula was very nice and easy to control on the nail. a taupe leaning grey crelly with charcoal flakes, taupe micro flakies, blue/green & red/copper/gold/green shifting crystal chameleon flakes. Inspiration - The forest from the show Gravity Falls, specifically the adorable gnome Shmebulock. 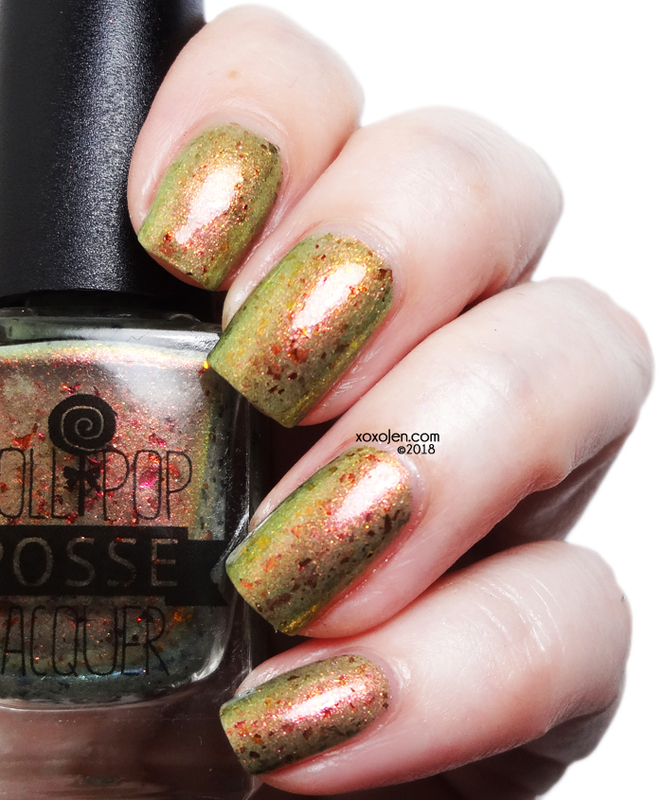 I wore three coats for photos with topcoat. The formula was smooth, and I like that the brush shape allows good control of the polish. Two coats shown with topcoat. Formula and brush were great, easy to control and no dragging or streaks. These and many others release as a pre-order Dec 7th at 10am central through Dec 10th on the Polish Pick Up webstore. 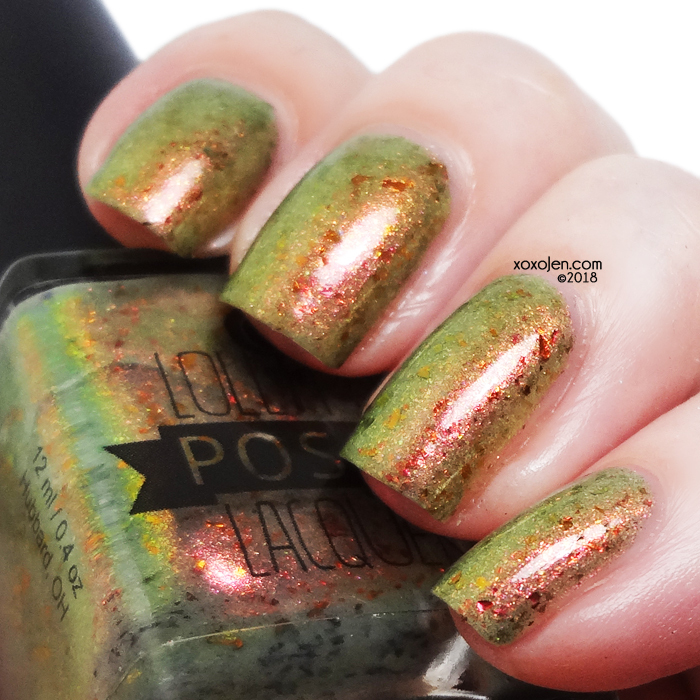 Visit the facebook group to learn more about Polish Pick Up and see all the other polishes on offer for December.